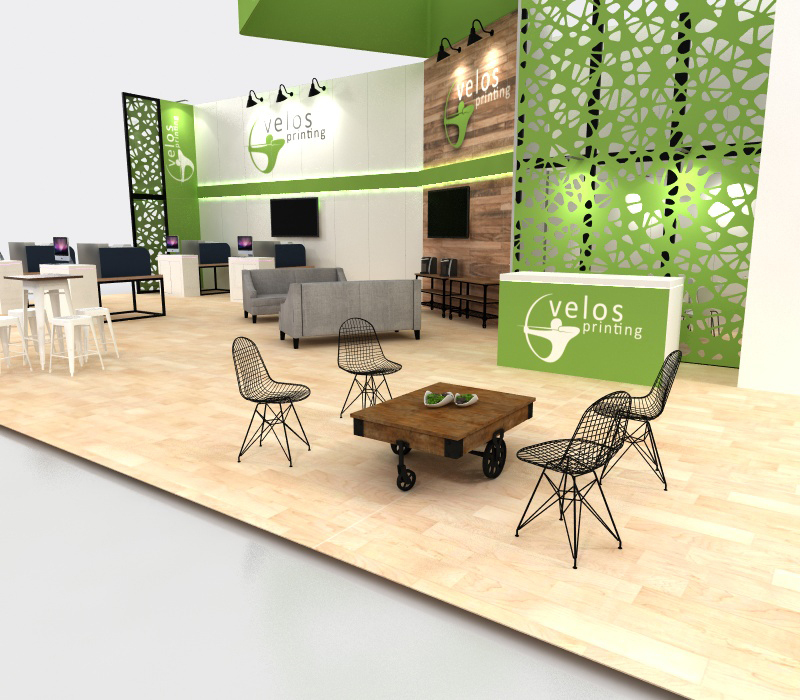 Give your audience a relaxing and comfortable experience in this open concept booth design. 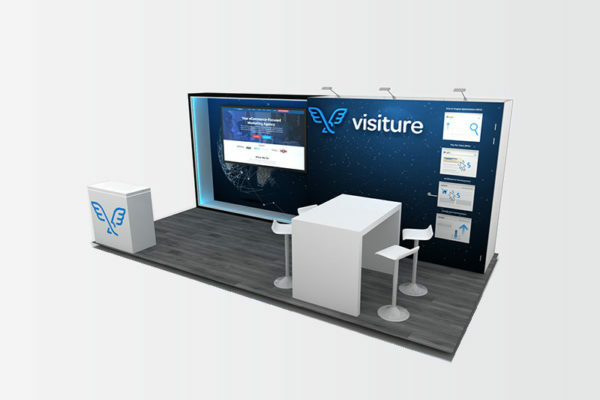 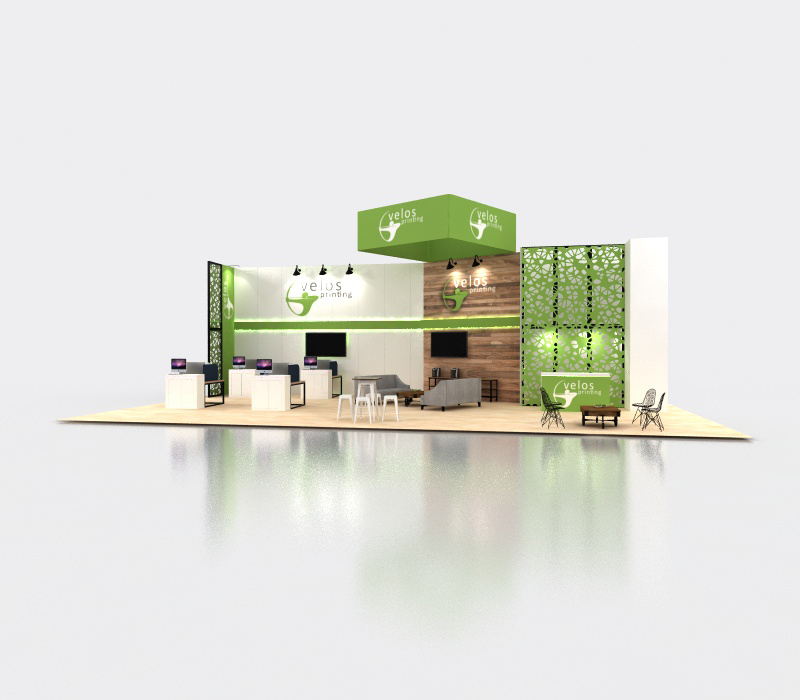 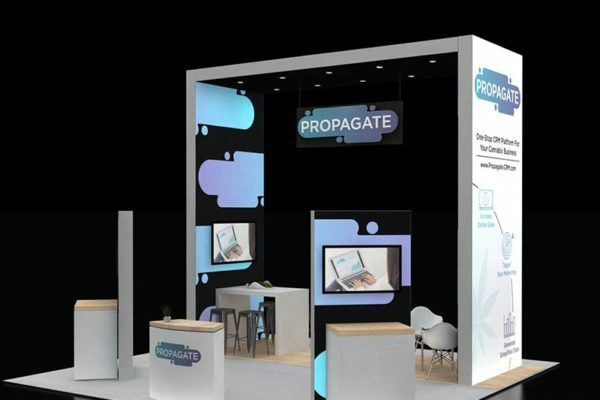 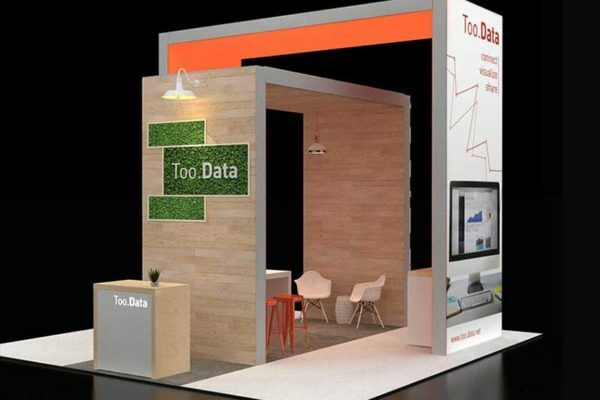 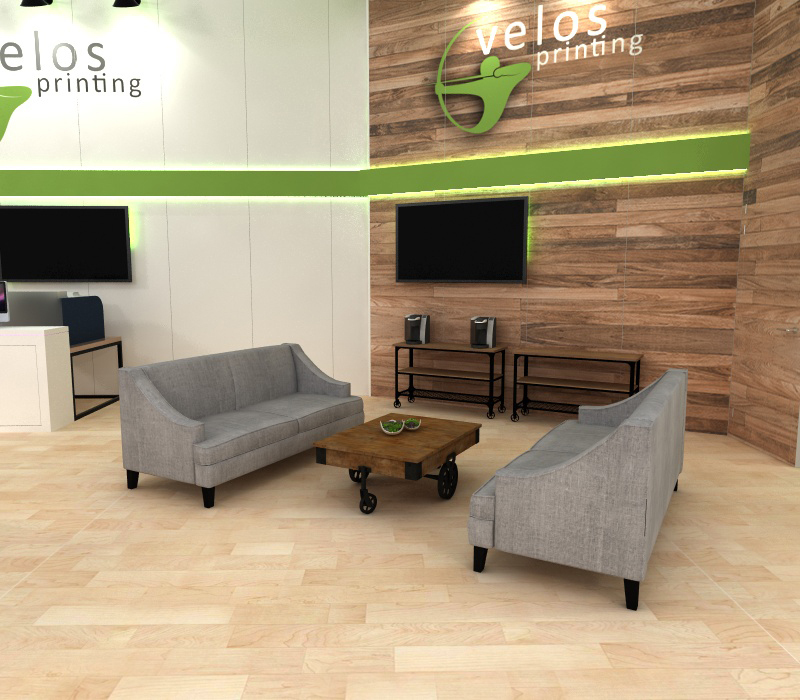 Large island trade show displays can feel overwhelming, but this booth gives you plenty of space and seating options to meet with your potential clients. 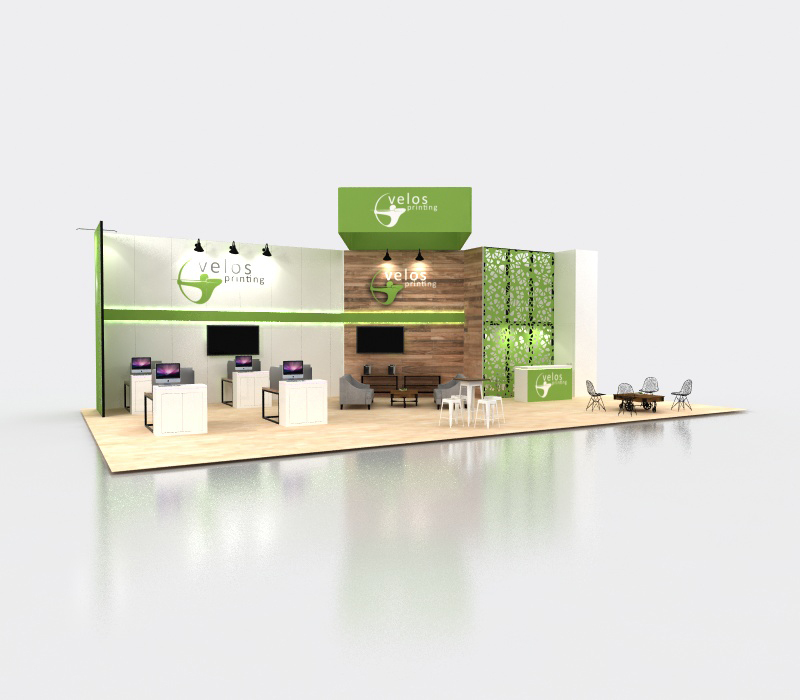 This large island space gives you the flexibility to customize how you want your booth to look. 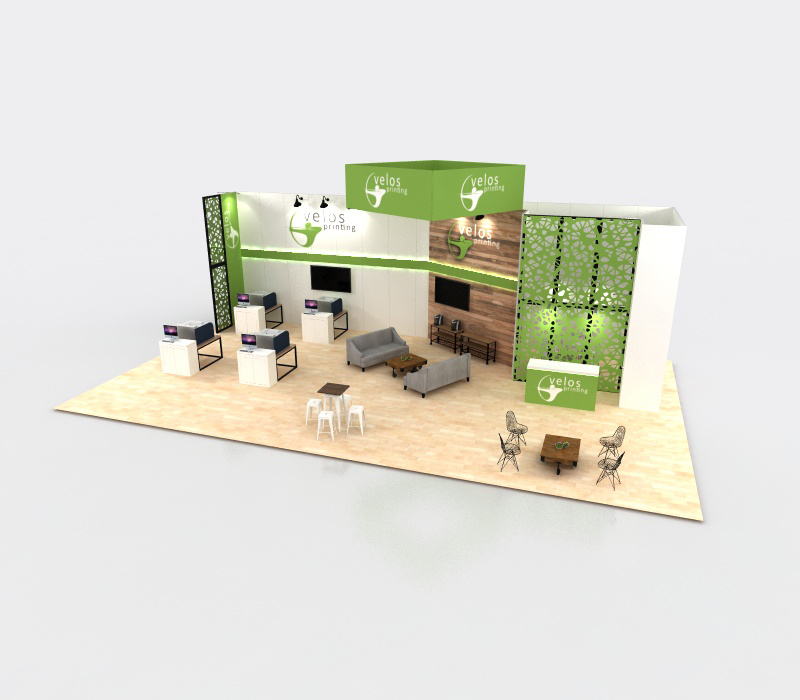 Any features can be added or removed to create the atmosphere your company needs. 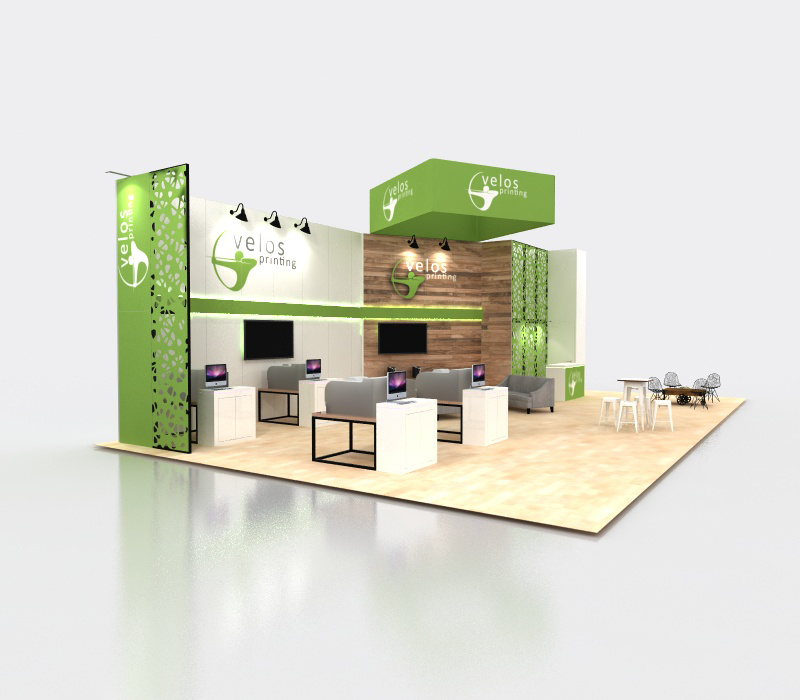 The elements in this booth include a custom cut-out wall, rustic furniture, multiple workstations, hanging sign, multiple TV monitors, custom graphics, and various seating areas.